Unique and delicious ways to serve tuna. 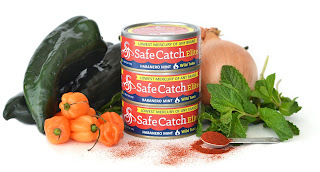 Sponsored Post: I received samples of Safe Catch Wild Tuna to facilitate this post. These tuna have so much flavor, no mayo is required. In fact, mayo, in my opinion, ruins the flavor. 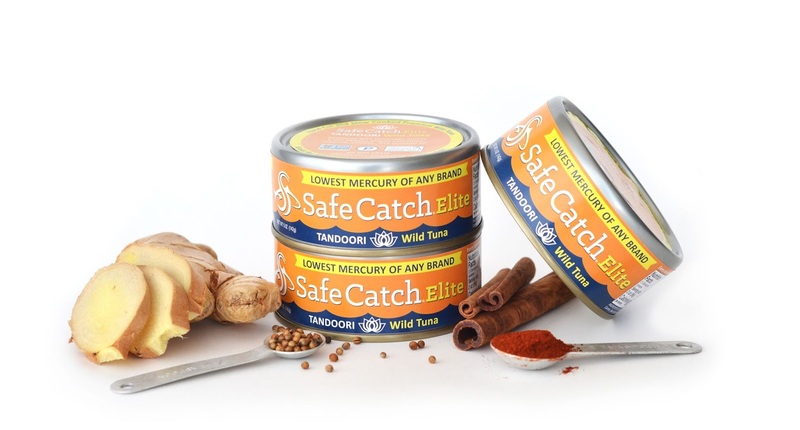 So I knew I just had to serve up this flavorful wild tuna in a fancy way. Avocados and peppers make a wonderful presentation for this unique tuna. 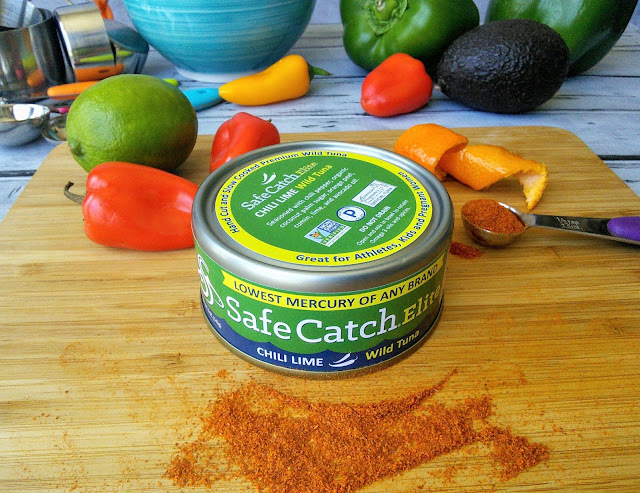 Since the tuna is packed with plenty of flavors, I just added some chopped red pepper and avocado pieces. These tuna stuffed avocados and peppers would be great to serve at a party or enjoyed every day. 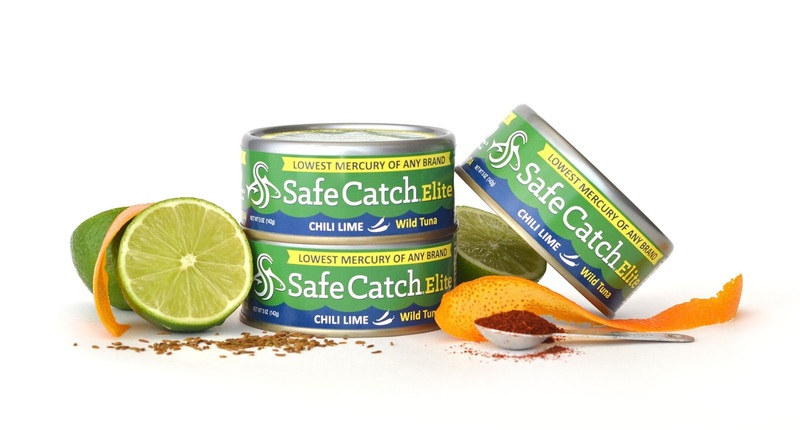 With Safe Catch Wild Tuna, you can enjoy tuna every day as it has very safe mercury levels. 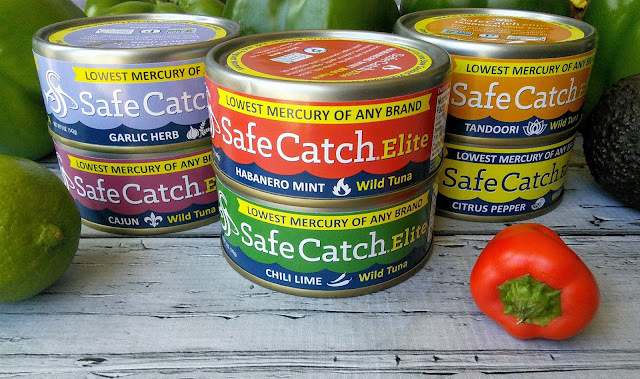 Safe Catch tuna is tested to levels 10X stricter that the FDA's so even kids and pregnant woman can enjoy it. 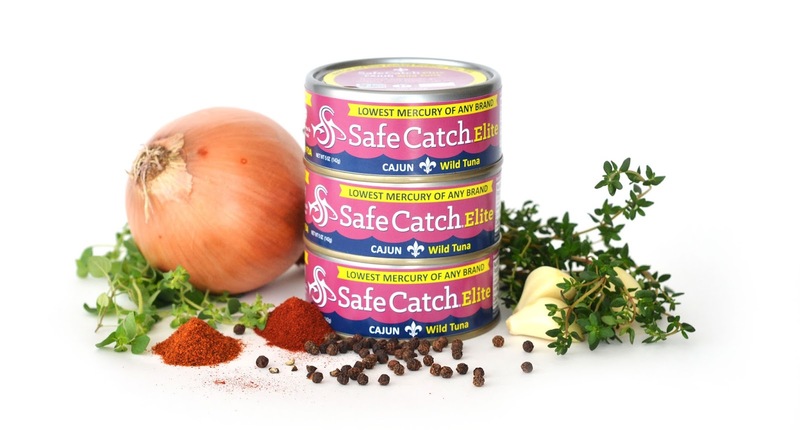 This tuna is also rich in Omega 3s! Cut open the avocados and take out the seeds. Place two halves aside and then scoop and dice the other 2 avocado halves. Then slice the top of the bell pepper and set aside. Scoop out the seeds from the pepper. Open the can of wild tuna and pour into a bowl, do not drain the oil! Stir the oil into the tuna and add the diced red pepper and diced avocado. 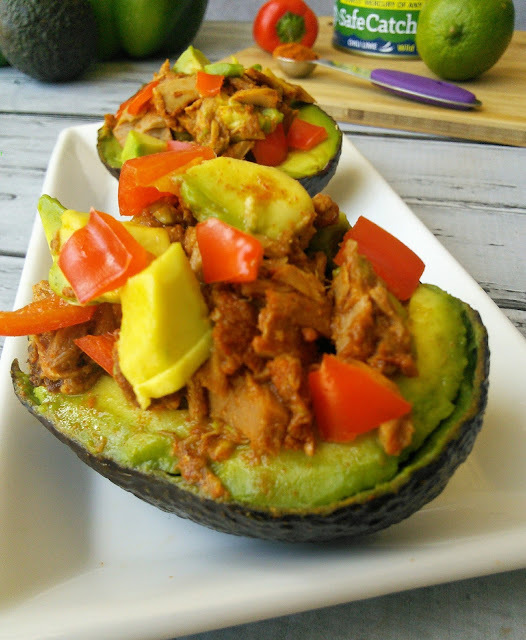 After stirring the ingredients into the tuna then place some of the yummy goodness into the avocado halves and the bell pepper. 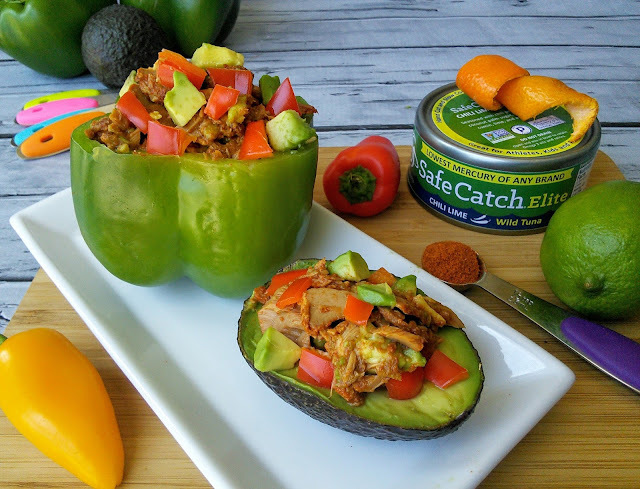 These stuffed peppers and avocados can be made with any of the other delicious Seasoned Elite Wild Tuna varieties as they would all taste so good! Now go visit Safe Catch to learn more about these gourmet seasoned wild tuna varieties! No Additives or Fillers – Just pure tuna and natural seasonings! These sound so good. My kids are going to love these. Goodness gracious, those sure do look delicious. 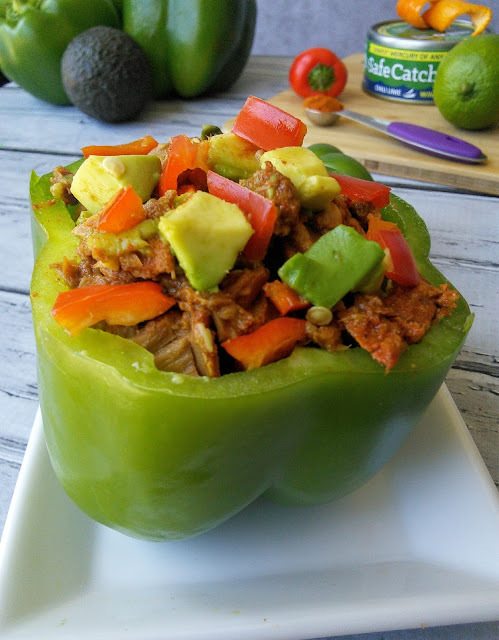 I haven't had stuffed peppers in a long time and I love that this recipe uses tuna, one of our favorites in all sorts of recipes. I don't think I've seen this brand before but now I'm going to make sure I look. It's going to be hard to decide which flavor is our fave as they all sound amazing. Oh how do these look! I can imagine they are just bursting with flavours! No joke, I am ordering every one of these! 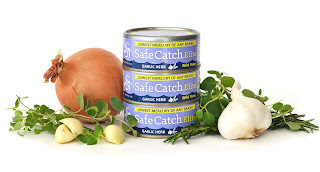 We eat really healthy in my home and that also means a lot of tuna for protein...I can not WAIT to try these! ALERT! The variety pack is on sale!! You can try them all. 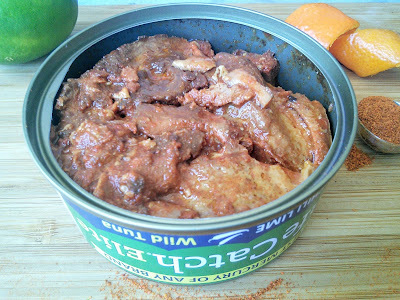 I have never seen that brand anywhere around me though I do love to purchase flavored tunas. Great recipe! Great inspiration in your post as tun always seems boring but you've shown me how to make it exciting so I want to use it more and all I have to do is change how I serve it. 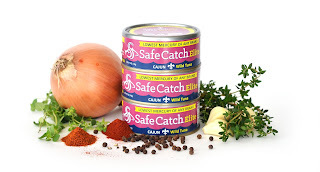 Also like the idea of safe catch tuna so I'll look for it in the store. This sounds like a delicious recipe. I can imagine how good the tuna mixes with avocado is. Ohh, I love the garnishing as it makes it more inviting to eat. Such an easy to do and healthy as well. I love the idea of stuffing peppers with tuna. They look really fun, and I know they have to be delicious! I love stuffed peppers. I do not eat meat but I may be able to get my Mom to try this. Sounds easy to make. 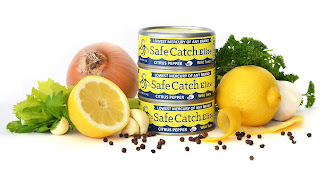 I have heard of stuffed beef peppers, but I never thought to try stuffed tuna peppers. What a great idea! My husband is a big tuna lover and he also loves peppers. 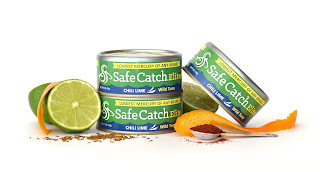 He would really love your Stuffed Chili Lime Tuna recipe! I love seafood and I love avocados so this recipes is a win for me! I wouldn't mind having this for lunch or dinner especially this summer. I love tuna and can't wait to try your recipe for Stuffed Chili Lime Tuna Avocados & Peppers :) It looks so delicious! I am not a huge fan of tuna, but I love that they are making different varieties now! New flavors are always fun to try! Yum! So healthy and delicious looking – thanks for sharing the recipe and joining in on last weeks Creative K Kids' linky party! If you haven't already, don't forget to join us this week!